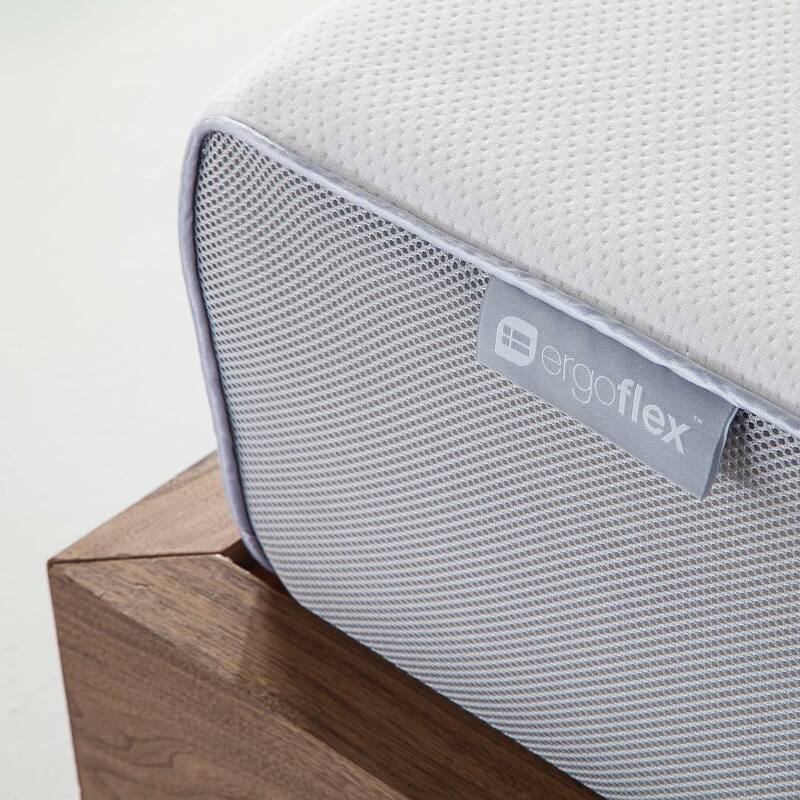 Introducing Australia to the online mattress in-a-box concept, Ergoflex has been helping customers sleep soundly for over 10 years. 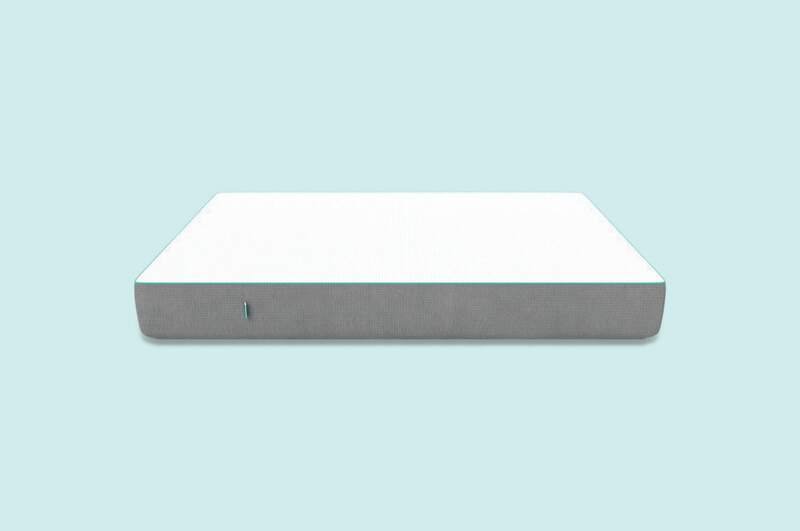 This high-density memory foam mattress offers orthopaedic pressure relief and uses hospital-grade materials. A blend of durable open-cell foam layers cradles and supports sleepers. Meanwhile, a natural Tencel cover allows air flow. Its dense foam layers are supportive, yet soft enough to alleviate customers' joint, hip, and back pain. With over a decade of sleep experience, the Ergoflex reflects innovation and value. This review was designed to help you figure out if the Ergoflex fits your sleep style. In it, you'll find information from real customers about the feel, firmness, sleep quality, materials, and more. We work hard to reflect a range of customer opinions and use unbiased data. By the end, you'll get a feel for the mattress and know if it's right for your sleeping needs. How does the Ergoflex feel to sleep on? The Ergoflex mattress consists of three foam layers and two cover layers. These work together to create a balanced design that supports from head-to-toe. Sleepers that prefer a medium-firm feel are most comfortable, as the memory foam contours rather than sinks. It compresses slowly, giving a gradual sinking feeling. This is ideal for people suffering from sore backs or recovering from orthopaedic surgery. Back and side sleepers may also find Ergoflex is the perfect firmness. Sleeping on the back requires lower back support and spine alignment. Memory foam is perfect for stabilising joints and allowing the right areas to sink. Side sleepers also need a mattress that provides cushion and support, since this position places pressure on hips, shoulder, and torso. The memory foam is dense enough to support this pressure, but responsive enough to contour to the body. However, stomach sleepers may not find this mattress as comfortable. Sleeping on the front body requires extra cushion, often found in medium to medium-soft mattress. Ergoflex's cushioned cover adds softness, but light stomach sleepers may need to add a topper. "I couldn't be happier with my Ergoflex mattress. I am now sleeping much better and waking up much better. At 71 years of age and with osteoarthritis, that is a big plus." — Elva A. Getting out of bed can be difficult, but the Ergoflex offers more edge support than similar mattresses. This is due to the high-density memory foam. Sitting directly on the edge of the mattress, you slowly sink several centimetres. However, it's easier to stand up and get out of bed with the Ergoflex. Especially when compared to latex or gel-infused foam mattresses. Another perk of the memory foam is minimal motion transfer. As sleepers leave bed, their movements are absorbed into the mattress. This allows partners to sleep undisturbed. A plus for relationships—and for homes with pets jumping on the bed. "We have been sleeping on our Ergoflex mattress for over six months, and we have never slept better. It basically moulds to your body. I never feel my partner moving in bed now, so no disturbance what so ever! Love it!" 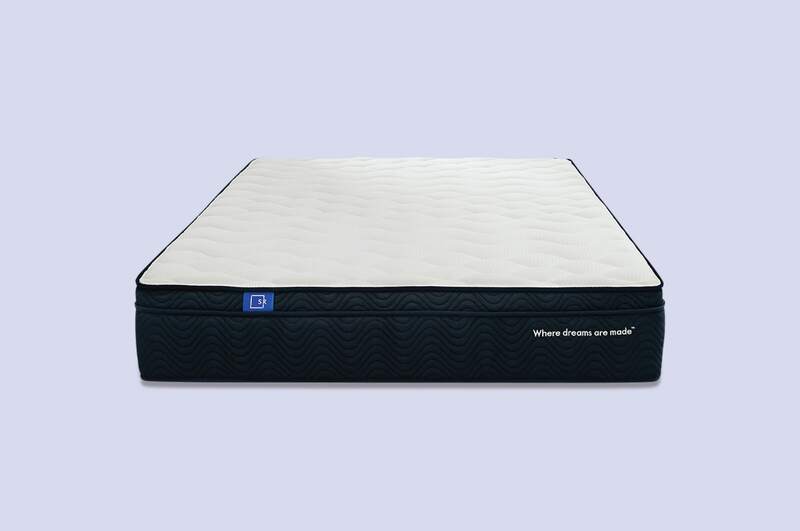 — Sharon S.
Natural latex and pocket spring support make this mattress a solid choice. What is the Ergoflex mattress made from? Online mattresses made from memory foam often share similar characteristics. However, the Ergoflex's main competitor is the Tempur® mattress. Both are designed from high-density memory foam, but the Ergoflex is known for its superior value. Below, we explain what this means for overall feel and customer satisfaction. Inside an Ergoflex mattress, there are three specialised foam layers. 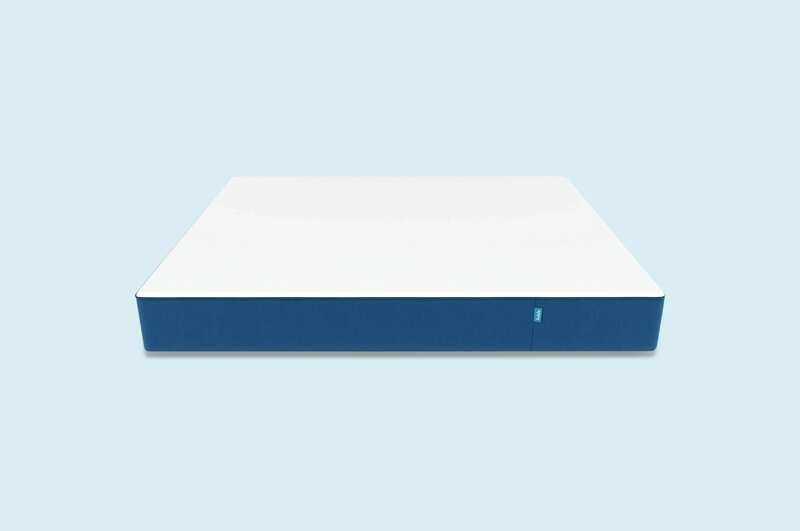 The first foam layer is a signature 5G high-density premium memory foam. Comparable only to Tempur® foam, this foam's unique open-cell structure allows for superior body contour, airflow, support, and longevity. Ergoflex designed this foam specifically to withstand years of use, with ratings based solely on industry standards. The second layer in the Ergoflex is a breathable Cool Sleep Airflow foam layer. This material was designed to increase air circulation while offering comfort. As heat builds up in the top layer from sleepers, the second layer quickly disperses it. Finally, a high resilience foam base provides deep compression support and structure. Overall, the attention to detail in Ergoflex's foam and construction allows the company to offer top-quality mattresses without the expensive price tag. Wrapping the foam layers is a white and grey cover. Made of Tencel® fabric, it keeps you cool and has a soft feel. This material is derived from plant cells, and contributes to the mattress' hypoallergenic qualities. Underneath the top layer is a micro-fine fabric that encases and protects the foam layers. Take care when moving the Ergoflex. It's heavier than many foam mattresses due to the dense memory foam. It arrives compressed in a box, allowing you to move it up stairs or through doors. However, you may want to ask for help lifting the mattress after unpackaging the box. The foam immediately starts to inflate and get heavier. Ask for help when rotating the Ergoflex as well. It should be done every three to six months to ensure the sides stay balanced. Contrary to popular belief, the thickness of a mattress doesn't determine the firmness. The Ergoflex is one of the thinnest mattresses on the market, but it's firmer than most. At 23 centimetres, it's thin yet dense. If you prefer a higher bed, you can always couple the Ergoflex with a box spring or platform. It also works well with slats frames or adjustable bases. How much does the Ergoflex mattress cost? Relative to high-end memory foam mattresses, the Ergoflex is a great deal. It was the first mattress company to cut out middlemen and unnecessary fluff. Despite its success, the company has not significantly raised prices and remains competitive in the field. While some high-end memory foam mattresses cost over $3000, the Ergoflex is priced under $1000 for a Queen. To see how it stacks up to the industry average, see our graph below. At its core, the Ergoflex is an affordable memory foam design that prioritises quality. It excels at pressure relief, support, and minimal motion transfer. If you're looking for a firmer design or want an alternative to expensive memory foam models, the Ergoflex may be right for you. Once you order this mattress, it ships free to most areas in Australia. The company promises a next-day delivery service during the week, and some weekend delivery options. You can also choose a specific delivery date. The mattress arrives compressed and only takes four hours to inflate after opening. Every Ergoflex mattress comes with a 10-year warranty and is the only brand we've featured to have customers that have exceeded their warranty period. You also get 30 days to trial the mattress. If you're not happy during the trial, you can easily return it. Since sleeping on a foam mattress is completely different than a spring mattress, the company asks customers to try it for 30 days. Any returns during this time are free and the company will pick up at most locations across Australia. In addition, Ergoflex partners with RizeUp, donating mattresses to help families of domestic violence. Who is the Ergoflex mattress best for? We do our best to figure out the best sleeping styles for each mattress. In this case, the Ergoflex is loved by sleepers of many sizes and shapes. However, customers who sleep on their sides or back tend to prefer the medium-firm feel. A true memory foam mattress will not give a typical sinking feeling, but will slowly contour to the shape of your body. The Ergoflex is the perfect choice if you're searching for a mattress that can alleviate back pain, has a firmer feel, and uses high-quality memory foam.